I went here on multiple occasions and was told no food. Then was told that she was sick and they were probably going to close. I saw food on floor and was given old food. When I was helped out with the food man told me to come back Saturday. I did and lady there told me no I should have not been told that. All people there were Hispanic. I felt I was being discriminated as I am Caucasian. Drive by one time after that and a refrigerated truck was there and lots of cars. I had been driven by a friend as I had a medical procedure and couldn't stop. Your opinion matters. 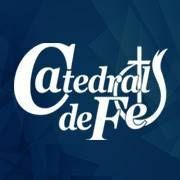 Leave A Review Or Edit This Listing for Catedral De Fe Ministries - Cafe Community Center. We always need more information on our pantries. If you know of any details, volunteer information, website, hours or more description information about Catedral De Fe Ministries - Cafe Community Center please add a comment (below the map on this page), with information. We will then display this for all visitors on this page.